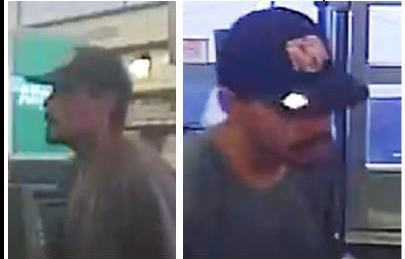 SHAWNEE COUNTY — Law enforcement authorities are investigating an armed robbery suspect and have released a description and security camera images of the suspect. On Thursday morning, police responded to report of a robbery at the Walgreens at 37th and SW Topeka Boulevard, according to Lt. Chris Heaven. A suspect described as a Hispanic male 20-30’s, 5-foot-6, slender build, wearing a grey short sleeved shirt and a knee brace on his right knee entered the business. and took money from the till. The suspect had a handgun tucked in his waistband and was last seen getting into a dark grey 2000’s Nissan Maxima leaving south from the business. No injuries were reported.